This one-day program focuses on taking a more in-depth look at advanced skills necessary to effectively manage a project and is offered as a follow-up to the two-day Essential Skills for Managing Projects program. This program places more emphasis on the ability of participants to connect key skills and techniques they learned in the Essential Skills program to practical situations they’re likely to experience in a real-world project. Throughout the day, participants will work together in teams to execute the learning exercises. 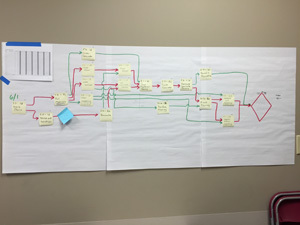 One of the key take-aways from this program is how the various project management tools can be used to make more effective decisions during a project.